Pipe lifters are a key piece of lifting equipment for any business or site where cement or steel pipes need to be lifted and placed safely. Obviously, for something as heavy as a cement pipe, you can’t rely on personnel manually lifting the pipes without causing injury. This is where a good pipe lifter and All About Lifting & Safety comes in to offer you a safe, efficient option to moving and placing these pipes. Contact us today to discuss the perfect pipe lifter to fit your needs. We stock all of the industry-leading pipe lifters and accessories to cater to every industry. At All About Lifting, one of our experts is always on hand, ready to advise you on the safest option that can handle even the largest diameter pipes, while keeping your personnel and equipment safe. The range of the pipe’s diameter. At All About Lifting & Safety, we have over 80 combined years experience and expertise with heavy lifting solutions. We promise we will guide you through choosing the perfect pipe lifter, to prevent broken, damaged or misplaced pipes in your future lifting endeavours. Choosing the wrong pipe lifter for your purpose will result in a scary maintenance bill down the road. That’s why we cater our product advise and choice to your exact needs, making sure you achieve the best results when placing heavy duty pipes. 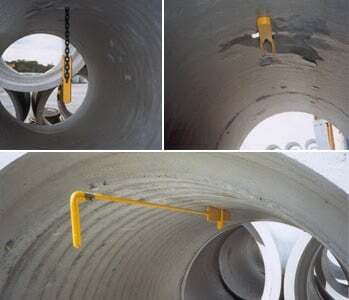 We supply a large range of pipe lifters, as well as, other lifting equipment and safety products throughout Australia. 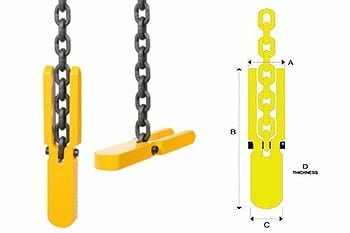 We also supply a full range of lifting equipment products and height safety solutions, as well as 24-hour support for emergency situations. Contact us today for all of your lifting equipment and safety equipment needs.